Seamen work on many different seafaring vessels, and human error, malfunctioning equipment, and dangerous weather can lead to serious accidents and injuries. Offshore platforms. Commonly known as oil rigs, these platforms are either tethered to the ocean floor or allowed to float freely. Drilling barges. These vessels are smaller than other drilling platforms. They're mobile, and typically used for scientific or exploratory drilling. Offshore barges. Barges typically house heavy equipment, such as cranes, and often used to lay pipes and provide transportation and accommodations for workers. Offshore supply boats. They transport goods and workers to other offshore vessels. Crew boats. These vessels transport maritime workers, cargo, fuel, and water to offshore platforms. Push boats. Equipped with mighty engines, push boats move much larger vessels, such as barges. Semi-submersible rigs. These rigs are used to drill for oil and to lift cranes. They're called semi-submersible because the operating deck stays above the ocean surface, while the remainder of the vessel is under water. Jack-up rigs. These are drilling rigs with legs that extend to the sea floor, allowing them to remain elevated above the ocean’s surface. Pipeline vessels. As barges equipped with huge rolls of pipe, they're used to connect offshore oil wells with onshore facilities. Tug boats. These vessels are designed to tow other ships, such as disabled watercraft, oil platforms, or barges. Fishing vessels. Available in many sizes, fishers use them to catch, store, clean, fillet, and package seafood. If you were injured while working aboard one of these vessels, you may be entitled to payments for medical bills and lost wages under the Jones Act. 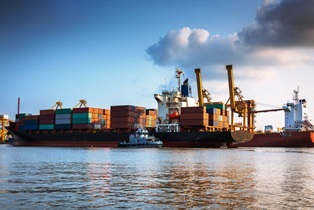 You need a skilled maritime injury attorney to secure the compensation you deserve. What Is a Vessel in Navigation?